NOM is an acronym for, Norma Oficial Mexicana. It’s a number that refers to the distiller registration number of the distillery in which the tequila was made. Currently there are over 1,000 brands produced by about 100 distillers in the tequila region of Mexico. All bottles are required to carry the NOM, stating the tequila’s distillery of origin. The NOM does not indicate quality or a lack thereof. Over the last decade, many new brands have entered the marketplace. In the new century it has become very common for distilleries to create custom boutique tequilas, with unique recipes and quality, as well as some distilleries that engage in simple white labeling. 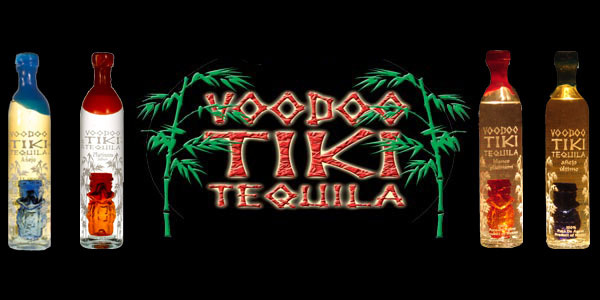 Voodoo Tiki Tequila is made utilizing high quality ingredients and processes – including single barreling! Our Nom additionally makes a line of very good 100% blue agave tequila – the type you’d find in better establishments using a 100% blue agave tequila in their house margaritas. It’s very good, but it’s certainly not the small batch single barrel quality found in Voodoo Tiki Tequila. In essence, you have one distillery, one NOM making various qualities and labels of two entirely different brands of tequila. On the other hand, some distilleries simply sell their own tequila to other bottlers. In these cases the bottlers are in essence packagers and marketers. This is a practice known as White Labeling, which is when a manufacturer produces a product for a company to brand. This has led many tequila aficionados to confusion. Some people erroneously believe that all tequila from the same nom is the same. This is false. In fact, many large tequila company’s openly flaunt differences in quality at various price points, for example, Milagro Tequila famously produces a very good 100% blue agave tequila commonly found in many house margaritas, and then entirely separately, and in different packaging at a different price they offer a higher end, higher quality version under the brand Milagro Romance. 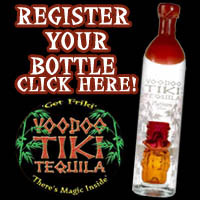 Voodoo Tiki Tequila is an ultra-premium boutique single barrel tequila. Single barrel tequilas are traditionally the very best. We do not have a “line of various qualities.” We have only the very best tequila that we can produce, in our own exclusive recipe and process. This is not to say that making tequila in bulk, and with more affordable ingredients is wrong, or produces bad tequila. It’s simply not our method. 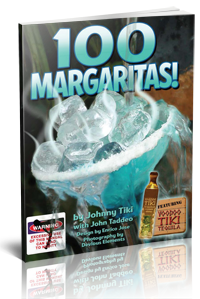 Voodoo Tiki Tequila was created to be the best, and evolve to stay the best. Tequila quality is our passion. So next time a tequila guru tries to tell you that if the NOMs are the same the tequila is the same, you’ll be prepared to set the record straight. All tequila from the same NOM is not equal.